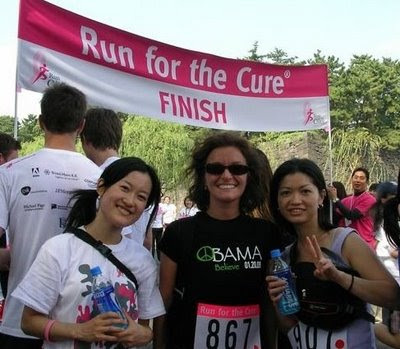 On Saturday Oct 18 - I joined the 5k run as part of the Run For the Cure Foundation. Here is am with Kaori And Purdey - two people I know from TUJ. It should be a great party with excellent prizes!